It’s been a long week, and the weekend is here! To help you make the most of it, I’ve checked that city calendar to give you a list of fun things to do! Grab your best derby hat, or fascinator for Hats off to Holly’s House “Derby Daze”! This derby themed event will include a served southern meal, and the annual hat and a silly sock contest! Kings Highway, will be providing the entertainment. Enjoy an evening of fun and surprises while helping Holly’s House serve the community! The USI Society for Arts and Humanities is hosting its 28th Annual Toast to the Arts! This truly special evening features cocktails and an elegant buffet catered by Acropolis. Following your food and drinks, browse the silent auction or participate in the live auction. You can head to Owensboro this weekend for a one man play…Pinstripe Suite! It is 1984, and middle manager Hal Fulmer has been downsized from a Fortune 500 company, Blancorp. Although he has just completed his last day on the job, he agrees to do a favor for his boss, and ends up spending the next twelve hours in a cushy executive office suite…waiting. Tonight is a dinner performance! At the Victory Theatre tonight, follow Alice on her adventures through Wonderland…with a twist! Ballet Indiana is bringing Lewis Carroll’s iconic story to life. Need a laugh after the long work week? Local comics take the stage at J’s Sports Bar tonight! They’ll be opening with Chris Hayes featuring Kristopher Izzi and Andy Imlay. The headliner is one of Evansville’s powerhouses of comedy… Gavin Eddings. It’s free to enter, but they’d like you to spend $20…not hard to do with cold drinks, and J’s great bar food. Get ready to rumble!…for a great cause. There will be 8 awesome wrestling matches tonight for a benefit show at McCutchanville Firehouse Gym. Everyone on the card will return for the Cheryl Fox Stichter Memorial Battle Royale! All proceeds will go toward Cheryl’s funeral costs. The darkly delicious story of Veronica Sawyer, a brainy misfit who hustles her way into the most powerful and ruthless clique at Westerberg High: The Heathers. But before she can get comfortable atop the high school food chain, veronica falls for the dangerous new kid, J.D. This must -see show emphasizes the brutality in relationships that can arise between teenagers and the animosity that develops between them, and proves once again, that high school never changes. Catch it all weekend at 321 North Congress. Patchwork’s Pancake Extravaganza is tomorrow! Enjoy delicious all-you-can-eat pancakes as well as sausage, cooked apples, juice, and great coffee. It’s just $7 for adults and $4 for children. And they’ll have gluten free options! It’s a steals and deals type of Saturday! Stroll through the seedlings at Timberview Flower Farm’s annual spring sale, shop the antiques estate sale at 4518 and 4519 Green Cove Avenue, and just a dollar gets you in to the multi-family indoor yard sale at New Life Child Care. Why did we barely make it to Saturday’s events? 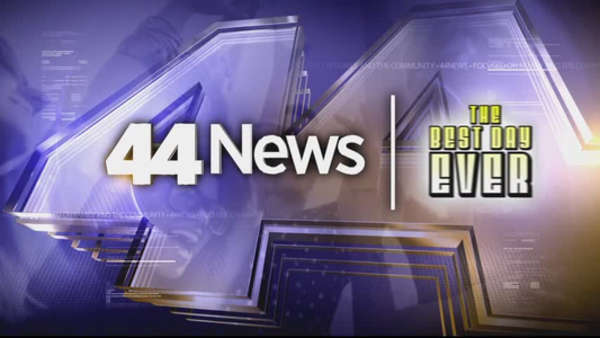 Because there’s so much on that city calendar at thebestdayeverevansville.com, check it out and see what thousand of Evansville-ians already know…it’s the best way to see what’s happening, so you can pick and choose, then get out and have the best day ever!